Investment in higher education is a hot topic across the country and in Montana especially. Every ten years since 1948 Montanans vote on a ballot measured called the 6-mil levy, which represents a substantial funding mechanism for the state's university system. The 6-mil levy returns to the ballot this November. In this special episode we present the viewpoints of Senator Jon Tester (D), Congressman Greg Gianforte (R), and UM Bureau of Business and Economic Research economist Bryce Ward. Each presents a different perspective on the value of higher education and offers some thoughts on the 6-mil levy. To be clear, we here at A New Angle can't take a position on how you should vote, but we can present you with these various viewpoints and encourage you to get out and vote. Angle, Justin W., "Episode 019: Tester, Gianforte, & Ward on Higher Education and the 6-mil Levy" (2018). 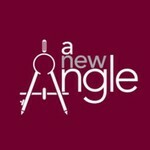 A New Angle Podcasts. 20.